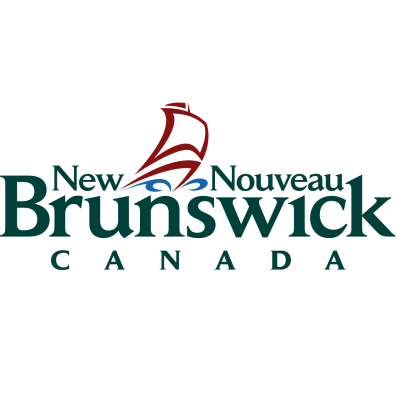 The Department of Post-Secondary Education, Training and Labour is seeking an individual to join the New Brunswick Public Library Service as Director of the Bathurst Public Library. As a member of the library team, the successful candidate will be responsible for the provision of quality library service to the community and surrounding area. He/she is responsible for managing the library in accordance with provincial guidelines. As a librarian, the Director is expected to be a key support to the Regional Director in developing service in the region; in recommending and assisting in the implementation of regional and provincial programs, priorities, policies and guidelines; in taking part in regional and provincial committees; in leading special projects; in using his or her expertise to mentor and guide staff of the library region, via the development of training and other activities. The successful candidate will be responsible for the recruitment, training, supervision and evaluation of staff, as well as students and volunteers; scheduling hours of work; providing loan service through an automated circulation system; providing complex level reference service through traditional and electronic resources; assisting patrons in the use of information technology and library services; providing reader's advisory service; planning and implementing library programs for children, youth and adults; performing community analysis; engaging in public, community and media relations; participating in the selection of library collections; serving as secretary to the library board; managing the library budget provided by the community center; working with the board and community center to maintain the library facility; developing partnerships; and assuming other duties as assigned. He/she will also be responsible for the maintenance of the library's collections, the shelving of materials and shelf reading. ESSENTIAL QUALIFICATIONS: Master's degree in Library and/or Information Studies from an ALA accredited program and a minimum of two (2) years of relevant experience. Experience using e-mail, the Internet and MS-Word is necessary. Applicants must clearly demonstrate the essential qualifications to be given further consideration. Please ensure that your preferred language for assessment is identified on your resume. The following operational requirements are also required: This position requires travel, as well as daytime, evening and weekend work based on schedules. Maintaining the library collections will involve some lifting on occasion. BEHAVIOURAL COMPETENCIES: The successful candidate will possess the following behavioural competencies: Client Service Orientation; Effective Interactive Communication; Relationship / Network Building; Strategic Thinking; Team Leadership. TECHNICAL COMPETENCIES: The successful candidate will possess the following technical competencies: Written Communication; Specialized Subject Matter Expertise and Knowledge. Salary: $49,374 to $69,056 per annum. We encourage applicants to apply on-line at https://www.ere.gnb.ca/competition.aspx?lang=E&t=Y or by mail at the following address and received no later than May 3, 2019, indicating the competition number: Department of Post-Secondary Education, Training and Labour, Human Resource Services, 500 Beaverbrook Court, Suite 100, P.O. Box 6000, Fredericton, NB, E3B 5H1. This competition may be used to fill future vacancies at the same level.